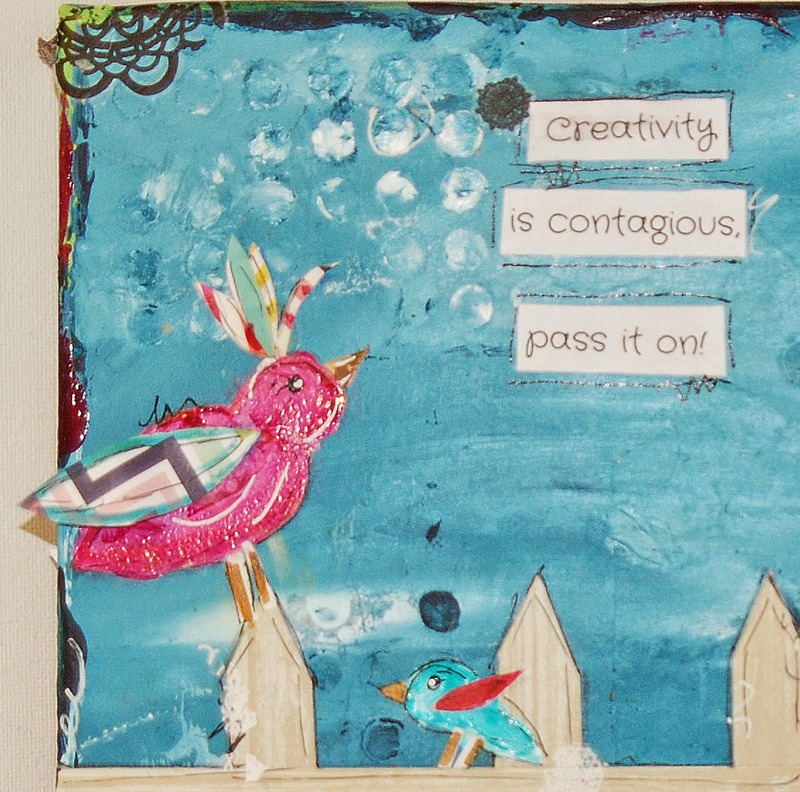 Eclectic Paperie: Creativity is Contagious! Sometimes it feels like my life never stops being crazy!! I I had a lot of crazy days in the last few weeks and this is totally reflected by these crazy birds ... There were a couple of fun bird doodles in my sketchbook and I just had to get them onto a canvas!! 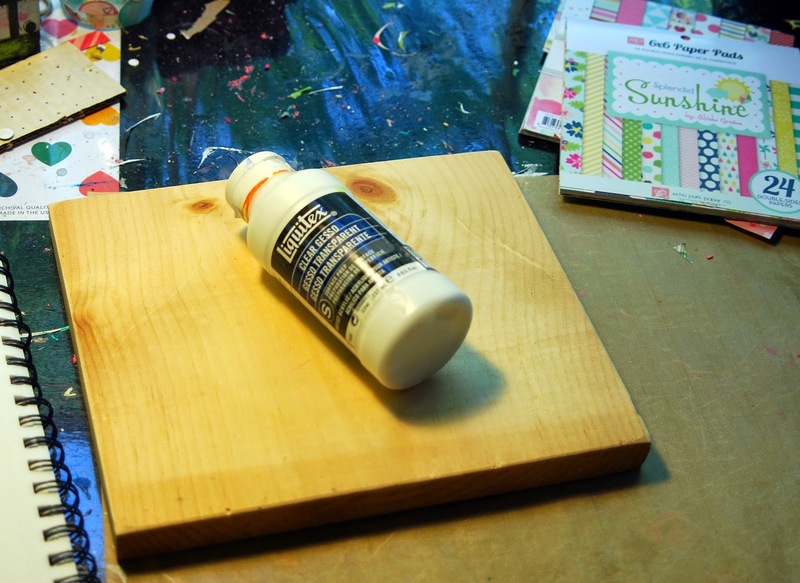 I started with a square of scrap wood and some clear gesso. Then I changed my mind and went with a completely different background!! 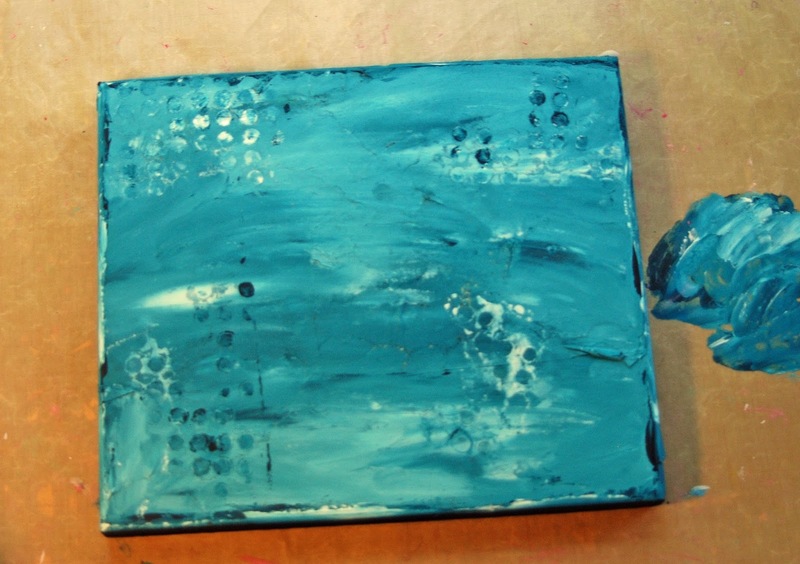 I covered the whole thing with blue and white paint. 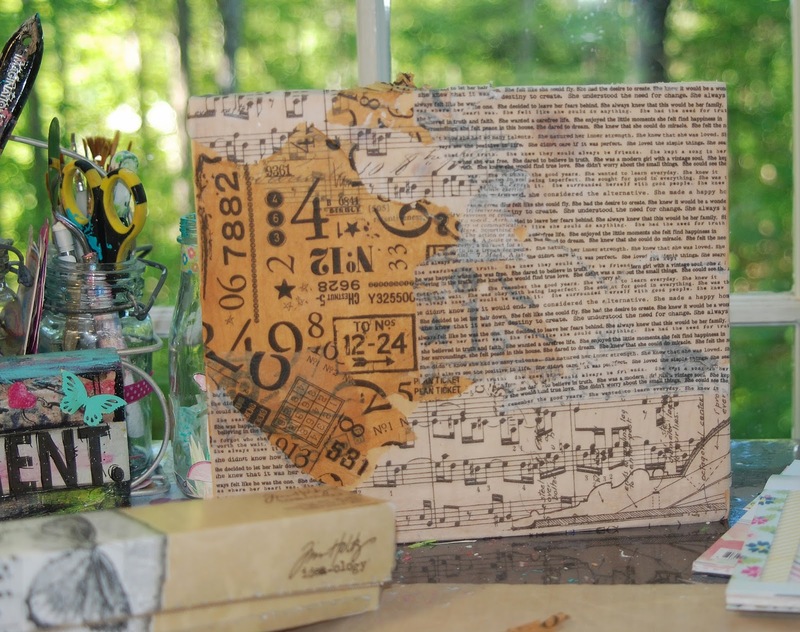 Then I took out a circle stencil and added some texture! I cut out some practice size/spacing pieces. I have ruined way too many great pieces of fun paper by cutting the wrong size. So I really do cut out rough shapes from plain or scrap paper first!! Doodles, rub-ons and highlights finish off this crazy project!! Thank you so much for stopping by the EPaperie blog today!! Make sure you also stop by the EP store and pick up this adorable and fun Echo Park paper that I used for the birds!! You will just love it! What a totally fun and creative garden scene Karen! 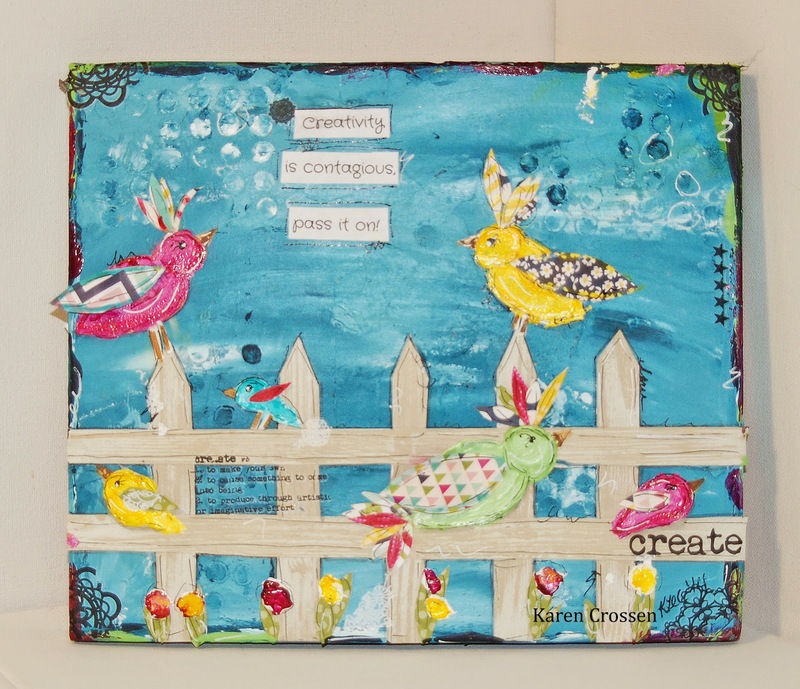 love that blue background and your cool birds! Wow, this is so pretty! 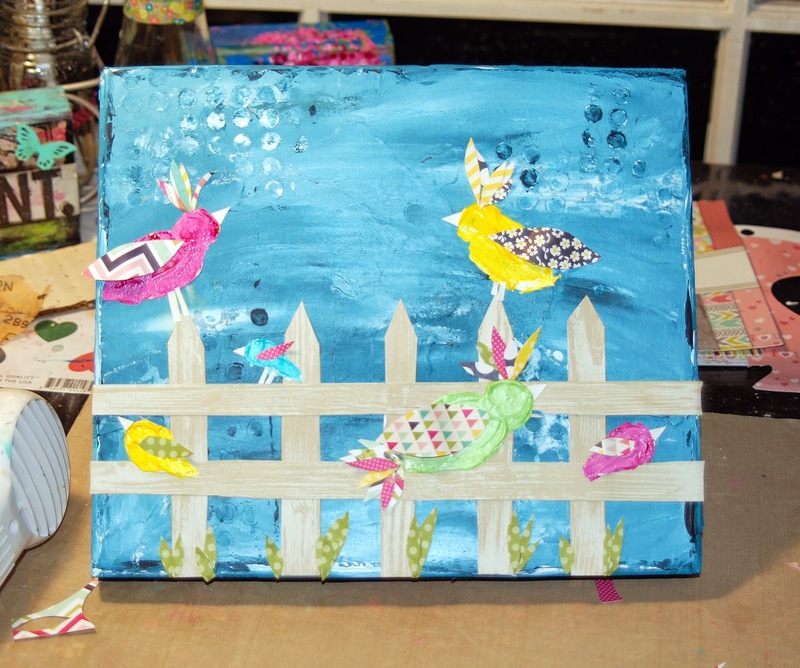 Love the fence, colors and birds! Great art! This is such a GREAT creation! 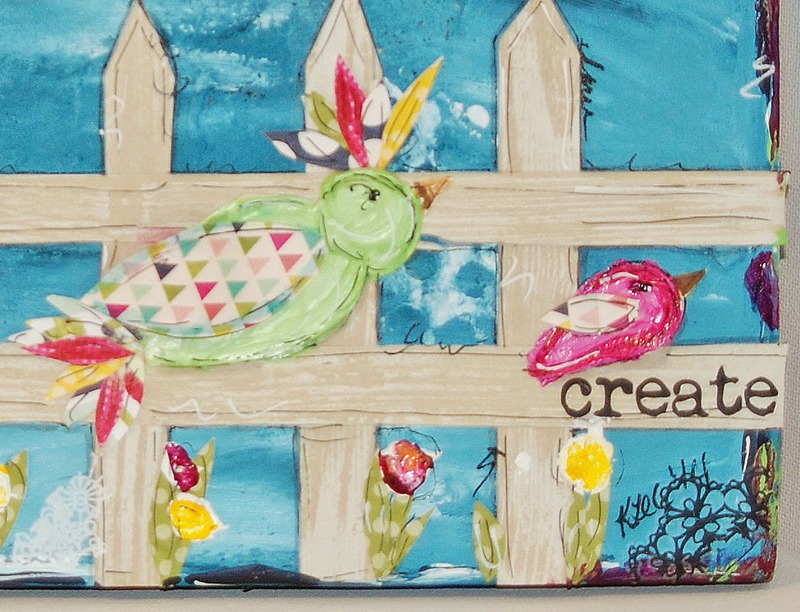 LOVE the birds on the fence, your words and the colors! FABULOUS, Karen! 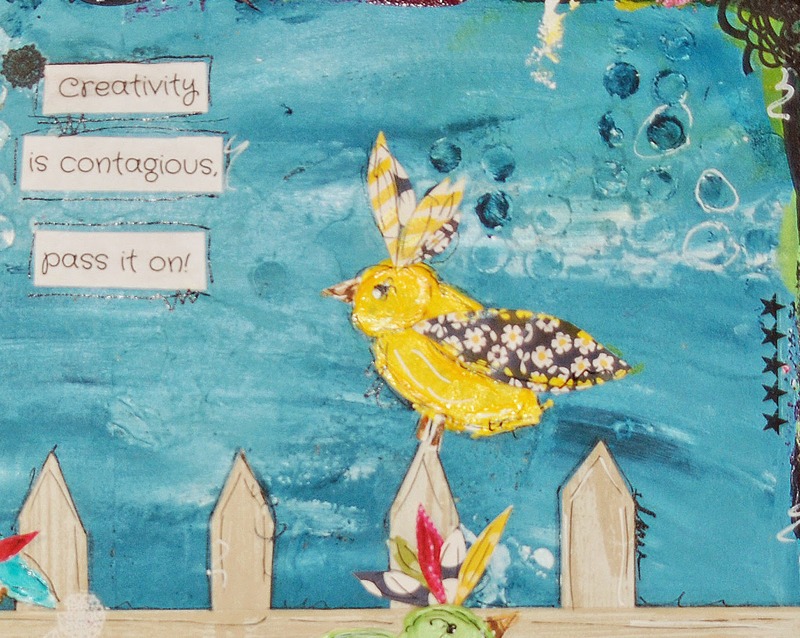 Love how this turned out, especially the birdies. And I know all about the "changing my mind" routine. 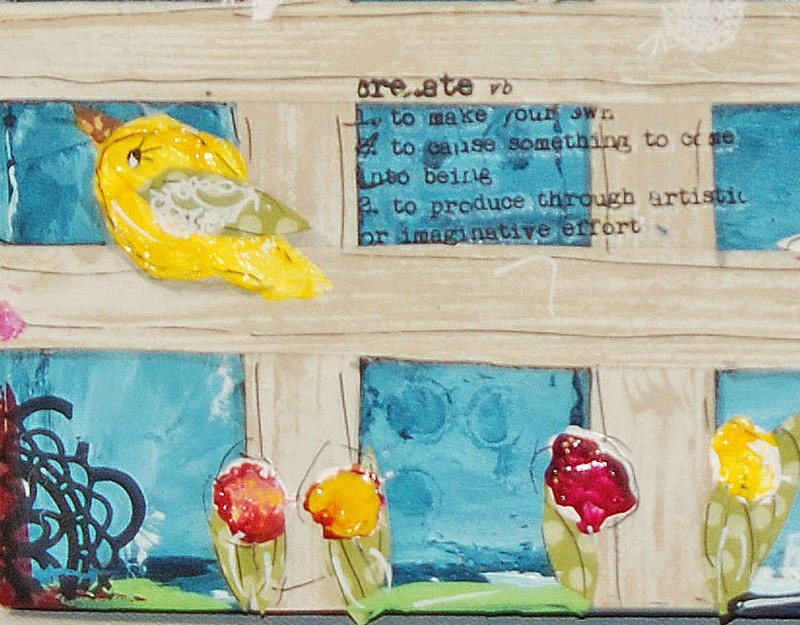 Wonderful plaque...... bright and cheerful! Karen, this is just SO much fun! 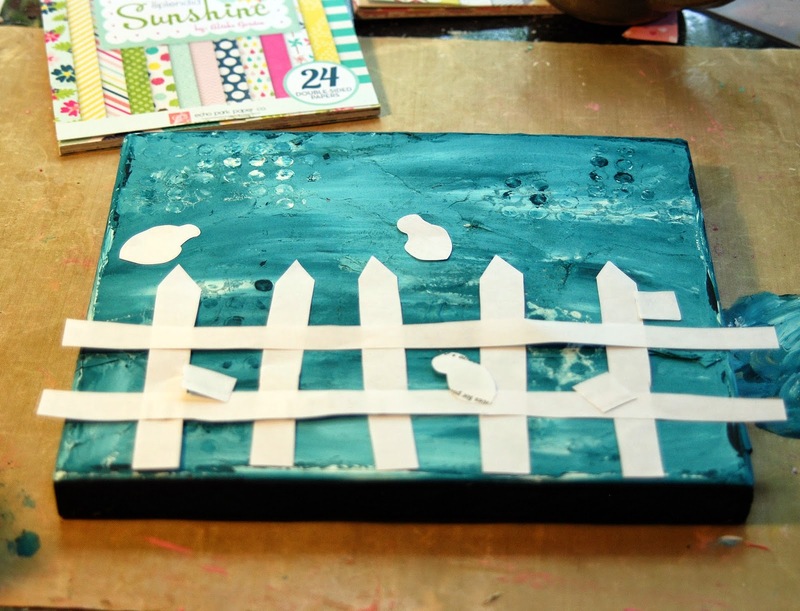 Love the whimsical design and the idea to rough cut scrap paper before picking up the good stuff! !